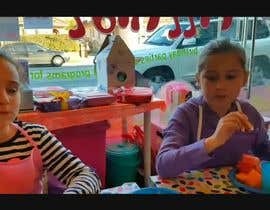 Create a 3min video for 7th Birthday for our daughter. 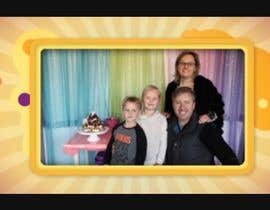 Our daughter recently celebrated her 7th Birthday and I would like to create a video of the day and celebrations. In the attached Dropbox link are a range of photos and videos. Would like to have video overlaid with music "Timber" by Pitbull - no copyright issue as only for domestic viewing. 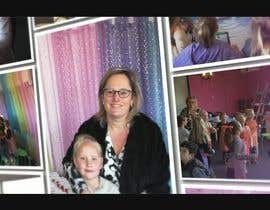 Video is to be blend of photos and video (no need to use all of photos) with some graphics overlaid celebrating Laura's birthday all tied together in a great video which she can look back on later with fond memories. She is a conservative kid but happy to mix it up when she is comfortable. Nothing outrageous but not a Powerpoint presention either. A bit of Wow!! The photos with file names that end in these numbers must be used 134107, 153633, 9681, 9684, 9726, 9753, 9757 + whatever others you feel fits into the video well. @thiagoferreira07 - I have got one of the support team looking at this now! I am trying to upload my entry but it says the file types allowed are only Picture formats (i.e .GIF, .PNG and .GIF) - @thiagoferreira07, I don't expect that anyone who wants to win the prize is going to help us with our uploading issues, but if it means anything I am having the same issues as you. anyone else having trouble uploading a entry? our 4 members is starting work on your project.I hope you will like it.thank you.